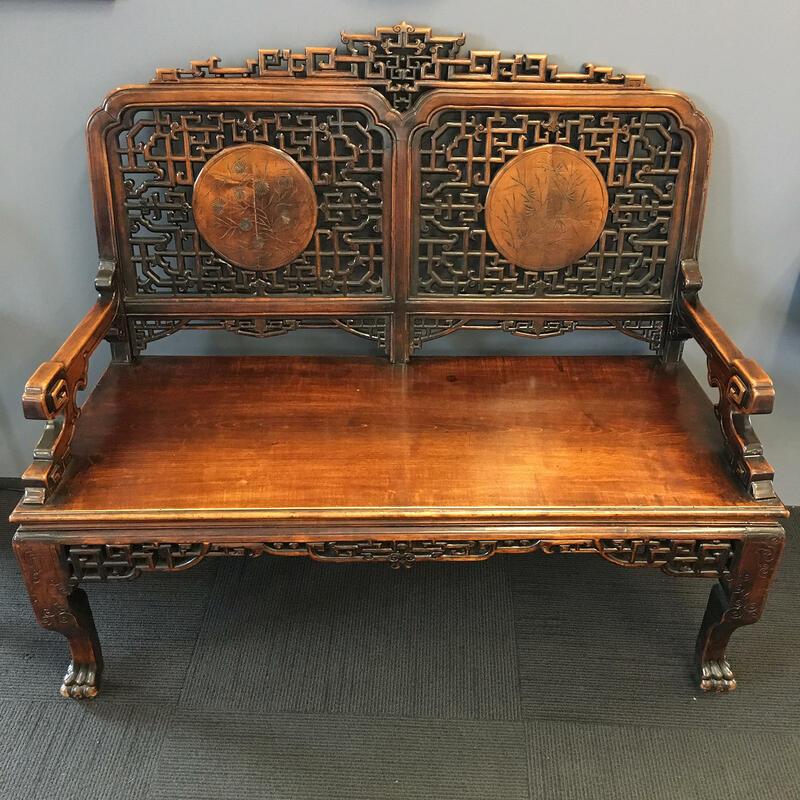 Antique French carved Rosewood Bench in the Chinoiserie manner. Signed by the well known ebeniste Gabriel Viardot, who frequently worked in the Chinoiserie manner. This piece dates as circa 1880. 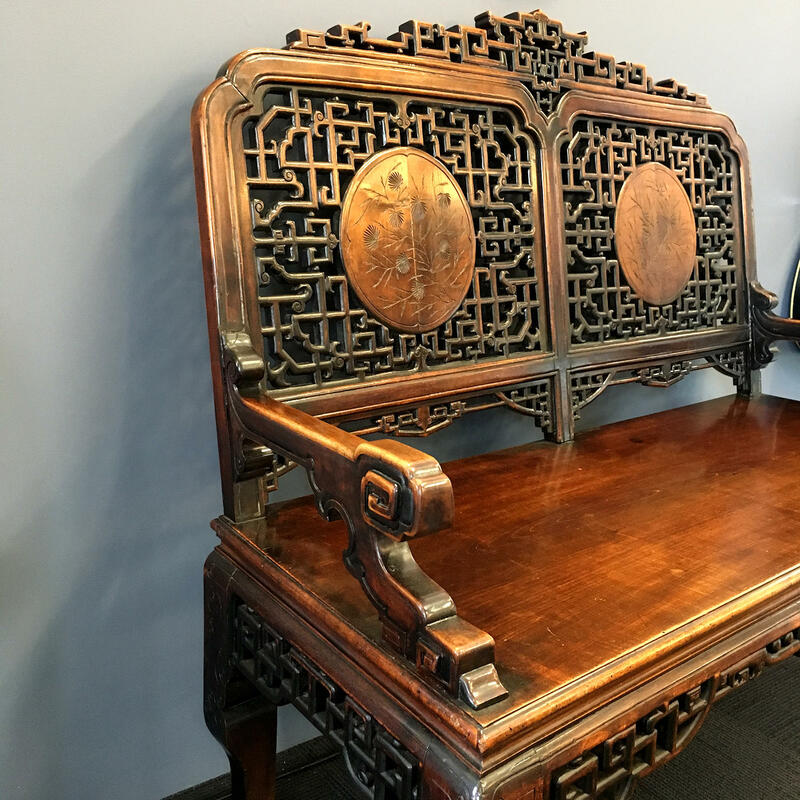 It would be perfect in an entrance way or bedroom. 119cm Wide, 47cm Deep, 46cm High, 102cm High at the back.